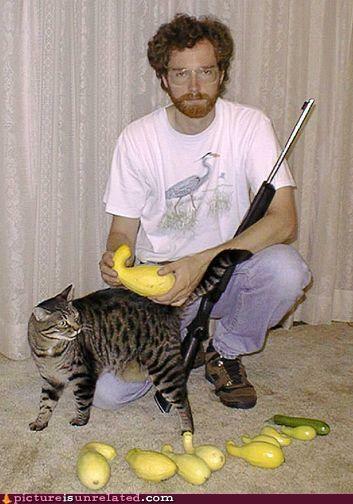 Gourd, Gun, Cat... Wait, What? Oh I get it. It's because... No wait. Oh I see, he is posing with those because... Nevermind.